Ask five random people to name a whisky. Chances at least one will mention Glenfiddich. Found in your local bar right to the farthest reaches of the world, the Glenfiddich name is an iconic single malt whisky brand. The distillery is situated in the Speyside region of Scotland and today produces 1.3 million cases annually, vast majority the 12 year old single malt. We begin tasting with the 12 year old single malt. Almost all Glenfiddich whiskies are matured using ex-bourbon and ex-sherry cask. After 12 years maturation, whiskies from both casks are married for a further 6 months in cask made from used Portuguese oak with an approximate ratio of 80% bourbon cask to 20% sherry cask. The aroma is fruity with vanilla, honey, toffee and fudge. The palate is subtly spicy, balanced with vanilla and honey. The finish is swift, smooth and gentle. Note: The Portuguese oak doesn’t influence the whisky. whiskytale: In a large family, all siblings have different traits. However, one sibling carries traits found in all. This person captures the family as a whole and if you ever had a family insignia, it is his face. 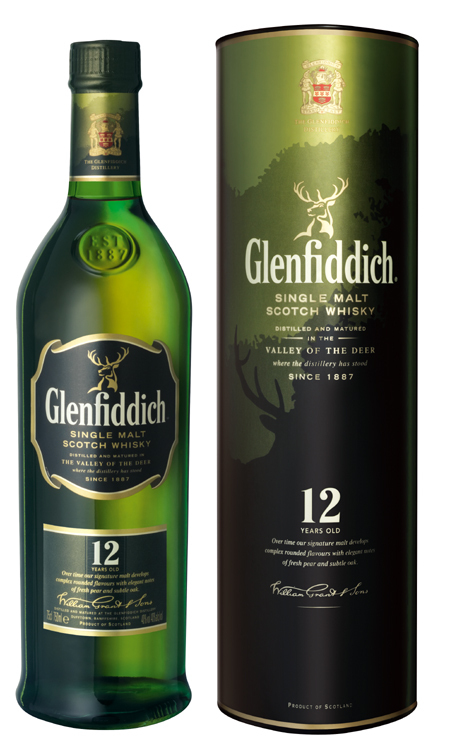 The 12yo whisky is the insignia of Glenfiddich. Every other whisky made by Glenfiddich can be traced to the 12yo whisky in one way or another. And every whisky made in the future would be an inspiration that begin here. The 18 year old whisky uses the same maturation process as the 12 year old with an additional six years. The aroma is somewhat similar to the 12yo; fruity and ripen instead of sweet, with vanilla, honey, fudge and syrup. The palate is subtly spicy with maple-syrup, vanilla and honey. The finish is oily, long and creamy. whiskytale: Here is the classy brother with reservation and style. He puts on the charm with the girls and enjoys like-minded company. He is not extravagant by choice, because he finally realises he is growing up. 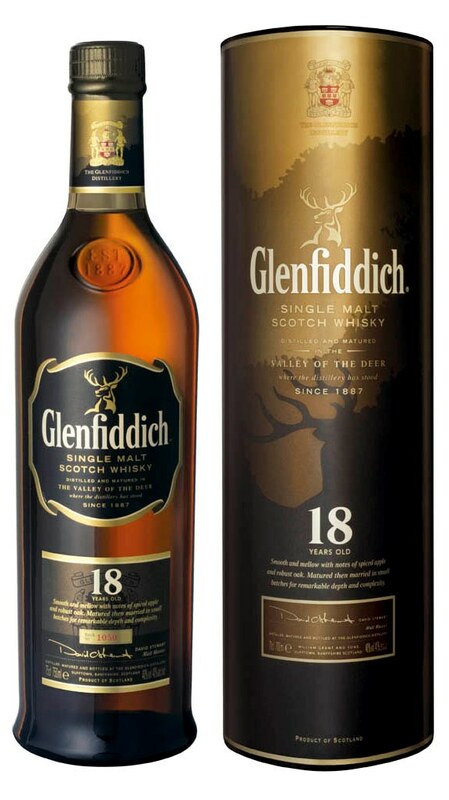 The Glenfiddich 18 year old is a classy whisky attracting those looking for experience. It is the beginning of a journey though and you are unlikely to look back once you are on it. The Glenfiddich Rich Oak starts its maturation in refilled American cask for 14 years. Thereafter, about 85% of the whisky is finished in virgin American oak for 6 months and the remaining 15% in virgin European oak for 6 weeks. The aroma has subtle honey and vanilla with a whiff of ginger. The palate has a dry and woody texture, with a toned down vanilla and honey flavours. Compared to the 12yo and 18yo, the Rich Oak is a spicy whisky. The finish is long and leaves a numbing spicy residue. @whiskytale: Amongst all, there is the one sibling that looks a little different. She has the same family resemblance with the eyes and nose but her skin colour is a different tone altogether. And if all of you were to huddle together, she would stand out. You wouldn’t guess the Rich Oak is a Glenfiddich family, and when place side by side; you may only then see the similarity. 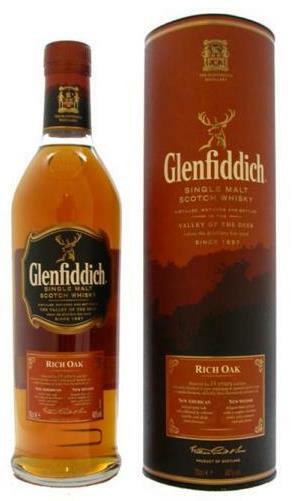 The Rich Oak doesn’t follow the normal Glenfiddich trend but is a great whisky to be proud of. The Solera is matured in a combination of ex-bourbon, sherry and virgin American oak casks for 15 years. It is then married together for four to six months. The content is then emptied into a 37,000 litre vat which is never emptied and bottled from the bottom. In the solera, the youngest whisky is 15 years old; the oldest have no age limit. The aroma is fruity with orange, marmalade, apples, pears and fruit cake wrapped in the more familiar Glenfiddich vanilla and honey scent. The palate is spicy with orange, marmalade and honey. The finish is smooth and subtly long leaving a faint herbal aftertaste. whiskytale: She is the bubbly sister with a persistent smile on her face. Plain and simple, everyone loves her. But she is more; spend time with her and you will find she is also philosophical and a little shrewd. You won’t go wrong with the comforts found in the Solera and the edge it has over other Glenfiddich. Since the Solera a collection of young and old, the whisky can only get better with further releases. The Glenfiddich 15 year old Distillery Edition is matured in the same manner as the 12yo but bottled non-chillfiltered at 51% ABV. The aroma is spirit exciting, with vanilla, pears, apples and honey. The palate is spicy and creamy with honey and vanilla. The finish is long and numbingly warm, and leaves a gentle spicy aftertaste. whiskytale: The one sibling that just lacks volume control. He is loud and in most instances, everyone ignores him. But take the time to be at level with him, you will find he always has something valuable to say. The Glenfiddich distillery edition is thrilled with character but some may not be used to the high alcohol content. But give it a little time to let it breathe, you will find the whisky to be rich and complex and is worthy a further study.